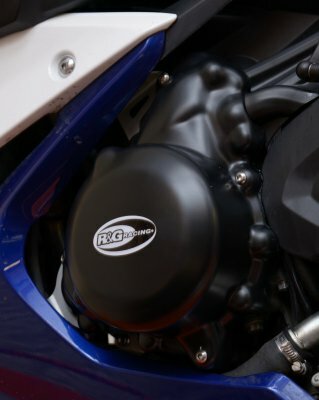 This Engine Case Cover (Left Hand Side) is suitable for the Triumph Daytona 675 ('13-) and the Street Triple '14- (Not RX), protecting the left hand side casing. 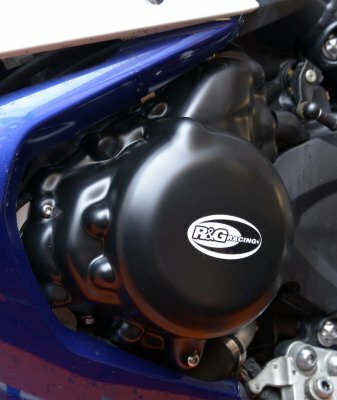 These exciting new Engine Case Covers have been developed in collaboration with selected race teams and crash tested within the R&G Racing Suzuki GSX-R Trophy. Crafted from 4mm polypropylene for strength, durability and good looks, they complement our crash protectors perfectly. The covers simply bolt on over the original engine casing so no messing with glue or removing anything. Slimline for maximum ground clearance, ultra lightweight, matt finish and protecting one of the most vulnerable parts of the machine, these could save you Â£'s in the event of an accident ... Ever seen the prices of a new engine casing or the cost of removing debris from your engine? 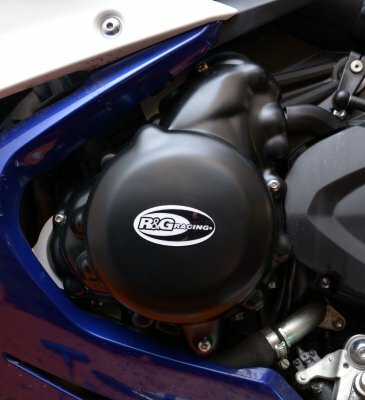 R&GÂs entire range of Engine Case Covers (ECCs) have been approved by the British Superbike Championship (BSB) and the American Motorcycling Association (AMA) for use in any competition sanctioned by the Organisations.